The first question is obvious. Will Vivek Oberoi and Aishwarya Rai make a good on-screen pair? Will the on-screen chemistry be electrifying -- so vital for a love story? The year has witnessed a number of debutantes leave an impression on the big screen. Will Samir Karnik, who makes his debut as director with KYUN! HO GAYA NA?, do justice to the subject he has chosen to make? And, most importantly, will KYUN! HO GAYA NA? live up to the mammoth expectations? The casting of 'good friends' Vivek and Aishwarya is enough to generate tremendous excitement in a film project. However, the chemistry between this good-looking couple is clearly lacking in the film. Yes, there are romantic moments in the enterprise, but your heart does not pine for the lovers at any given time. Also, you don't yearn to see them together. Debutante Samir Karnik is a sound technician. His debut vehicle KYUN! HO GAYA NA? is well shot, with each frame looking beautiful. But one wonders, what was it about the [waferthin] story that bowled Karnik completely. So much so that he stretched it into an 18 reeler. The hallmark of any love story, be it Q.S.Q.T., MAINE PYAR KIYA or the recent HUM TUM, is the emotional quotient it has to offer and the twists and turns in the plot. Sadly, the script of KYUN! HO GAYA NA? is its biggest drawback. Yes, there are a few interesting emotional moments, but a handful of well executed sequences do not camouflage the harm caused by an uninspiring screenplay. Despite a fabulous producer like Boney Kapoor to back him and a dream cast at his disposal, Samir Karnik has not been able to deliver the goods. Diya [Aishwarya Rai] is a sensitive girl whose childhood was spent in the coffee plantation town of Coorg. Malhotra [Tinnu Anand] had single-handedly brought up Diya after his wife passed away. Malhotra has a dear friend, Raj Chauhan [Amitabh Bachchan], who has dedicated his life to a small orphanage he runs at his home. Diya has been involved with the work there and is committed to social work. She comes to Mumbai to appear for her exams. 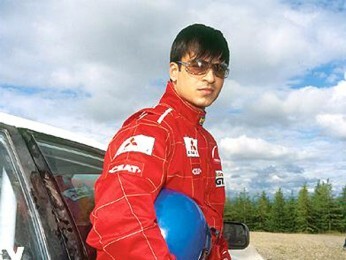 In Mumbai, Diya meets Arjun [Vivek Oberoi], a fun-loving guy. By a sheer coincidence, Diya is put up at Arjun's house since Arjun's parents [Om Puri and Rati Agnihotri] happen to be Malhotra's friends. The friendship that develops between Diya and Arjun and consequently their opposing views on love and marriage is what the film is all about. Similarly, the screenplay is structured on the lines on HUM AAPKE HAIN KOUN, with light moments [games, fun-filled moments] dominating three-fourths of the film, while emotions/relationships dominate the last part. The screenplay of KYUN! HO GAYA NA? 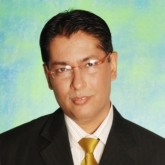 has been credited to several writers. But despite so many writers putting their heads together, the outcome is half-baked. To be honest, the love story loses focus mainly due to the inept writing. The writers are to be blamed completely for churning out a bland fare that neither has the grip of MUJHE KUCCH KEHNA HAI nor the moments of HUM AAPKE HAIN KOUN. After the initial introductions, the story just doesn't move in the first half. In fact, the first half relies on moments, but not all moments are magical. Besides, the flow of songs in the first half is a major deterrent, with tracks coming up without valid situations ['No No', a terrific number, looks completely forced in the goings-on]. The intermission does raise expectations of a better second half [Amitabh enters at this juncture], but the story suddenly changes lanes and instead of concentrating on the two lovers, starts focussing on the kids in the orphanage. Strange, but true! Besides, the sequences in the orphanage involving Bachchan and the kids are meant to evoke mirth, but the pranks are so juvenile and bizarre that it just falls flat. However, the film does gather momentum in the last 25 minutes. The gradual transformation in Vivek's behavior is well depicted and the presence of Suniel Shetty comes across as a twist in the tale. But the pace at which the drama unfolds is what takes the graph of the film down again. 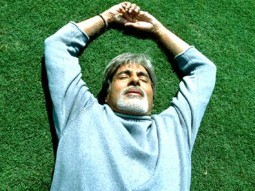 Even the climax, when Amitabh reveals his game-plan, does not have the desired impact. Director Samir Karnik is saddled with a puny story and a shoddy screenplay. Perhaps, the writers took everything for granted. Cinematography is excellent. Every sequence looks visually rich. Shankar-Ehsaan-Loy's music is melodious, but is not the type that would compel you to watch the movie again. 'Pyaar Mein Sau Uljhane Hain', 'Aao Na' and 'No No' are the best tracks, although the latter looks forced in the narrative. Vivek Oberoi tries hard to enact the role of a lover-boy, but succeeds partly. He impresses only towards the latter reels. Aishwarya Rai looks stunning [like always!] and enacts her part well. But she looks ill at ease in light moments. 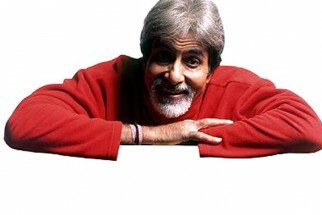 Amitabh Bachchan is extremely likeable. Suniel Shetty is passable. Dia Mirza is there for just one scene. Om Puri and Rati Agnihotri are commendable. Tinnu Anand is adequate. On the whole, KYUN! HO GAYA NA? is body beautiful minus soul. At the box-office, the film may generate curiosity on the strength of its impressive cast as well as the fantastic promotion embarked upon by its makers, but the film doesn't have the merits to emerge victorious after the initial euphoria settles. It might find some patronage at multiplexes of metros.